2018 Theme: Rock Can Roll! Building will take place from October 16 to 18th at the Holter Museum of Art. This is a great opportunity to make this a team or family event. Get students, work colleagues, friends or family involved. 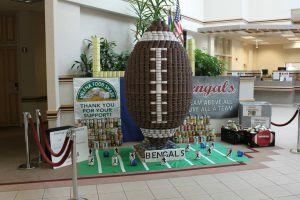 This event will raise awareness through a creative and social medium while also raising food for hunger relief in our area. For the first year ever can sculptures will be centrally located at the Holter Museum of Art. We are excited that the can sculptures will be featured at the Holter during the Fall Art Walk on November 3rd. Deadline to register your business is October 12. 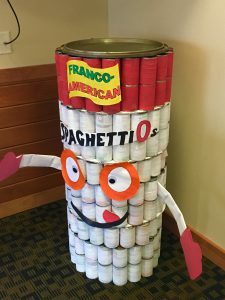 Download the 2018 Can Sculpture Registration Form . Complete it and email it back to Sharon Witham by October 12th. If you have any questions, please contact Sharon at 406-441-5007.